Do you have a mental list of what you expect and desire in a partner? 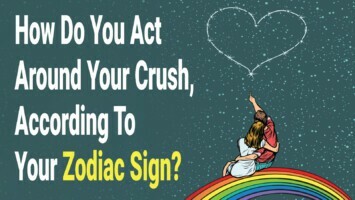 Does your current partner match up to that list, or some of those characteristics? 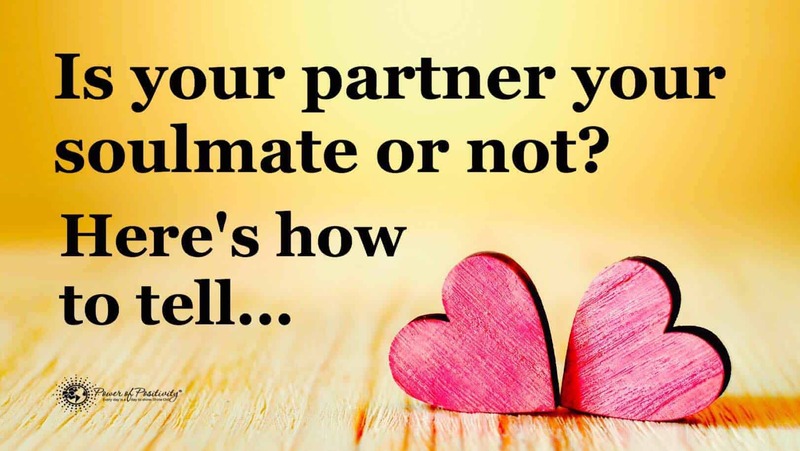 We often attract our partners in an unconscious manner that does fulfill what we want in a life partner. Sometimes it’s enough, while other times it doesn’t come close to what we desire. When you meet your soulmate, you know it. There is an undeniable attraction that goes beyond that list that has been mentally creating itself since childhood. But what happens when some characteristics or qualities don’t appear in our partner? How do we know what to look for? 1. Will they support your heart’s desire? Not only does your partner support your dreams, he or she makes it possible for you to reach them. This person is your number one cheerleader and supporter of what makes you happy. Your partner doesn’t just give you a helping hand, he or she helps you build the path towards reaching whatever you desire. And, this person doesn’t criticize how you get there either. 2. Do they add purpose to your own path? Your partner enriches you with love. He or she brings out the best in you while giving you confidence, security and respect. Your partner is a constant source of nourishment. It’s not that you can’t live without this person, but that you shine because of his or her presence. Your partner reinforces the fairytale story of being in love. 3. Do they make you laugh from the inside out? Can you be silly with your partner? Do you have fun with your significant other in ways that are absolutely childish and fun? Is he or she the most amazing person to get you out of a bad mood? If your partner makes you laugh, rather than make you cry and depressed, you have a gem. This person is the joy that makes your heart skip a beat. Keep that person close to you. A healthy partnership has the ability to compromise without hurting one another. 5. Can you trust them? It’s believed in our society, that betrayal is inevitable. However, when you are in a loving and trusting relationship, it is never an issue. If your partner isn’t giving you reasons to distrust him or her, then you are in a secure and nurturing relationship. Your partner should be giving you the confidence to trust and be trusting. It is a two-way street. When there is no insecurity in a relationship, then there is no need to distrust. We all make mistakes. It’s part of being human. At some point in a relationship, there will be disagreements, heavy compromises and then forgiveness. If you and your partner can easily forgive, then you are in a beautifully healthy relationship. If your partner isn’t constantly bringing things up from the past, or rehashing old fights, this person is a keeper. 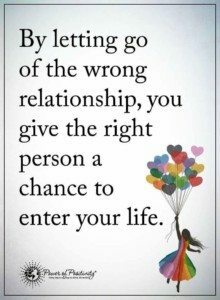 The most rewarding characteristic in a loving relationship is the ability to let go of the past. 7. Does your partner show you gratitude and appreciation? Your partner values your thoughts and opinions and shows gratitude for them. He or she appreciates the little things you do. And, because of your partner’s behavior, you give of yourself even deeper. Nothing says acceptance more than feeling seen, heard and appreciated. We all want to be acknowledged, and your partner should be the number one source of this feeling. 8. Do they love (all of) you? You partner loves you wholeheartedly with all quirks, eccentricities, and neuroses. You both accept one another unconditionally and bring out the best qualities in each other. And, because he or she accepts all of you, he/she accepts your family and friends (which are a part of your life). We all have flaws, so your partner should be the one person to never magnify what the rest of the world tends to already do for you. 9. Can you safely be vulnerable? You don’t have to be afraid of your partner running away from your emotions. He/she can assist you through emotional waters. Vulnerability is not feared in your relationship. You can be at your weakest and your partner will help you find your strength. There is an unsound ability to being raw and not feel judged. If your partner allows you to shed your soul without criticism, he or she is a gem. 10. Can you be your authentic self around them? Partnership is the union of two souls coming together in a contract to love and support one another. This doesn’t mean that you lose yourself in the process. A real soulmate allows you to be who you are without needing to fix you, reshape you, or restructure your characteristics. He or she indulges in your authentic power and grows from there. You both can have different needs, desires, abilities, friends, hobbies, and creativity without feeling responsible or making excuses for the other. There is no jealousy or sense of worthlessness. 11. Do you feel they bring out your best? Your partner wants nothing more than to journey this life with you. He or she wants to experience life to the fullest with you. Your soulmate is your navigator through all the deep and rocky waters. This person enhances the most wonderful parts of you. If your lover is able to help you navigate through life with joy, stability, and loyalty, he/she is a keeper.